Forest school has been adapted from a Scandinavian approach to learning where access to outdoor environments at all times of year and in all weathers is normal. The philosophy of Treecreepers is to encourage and inspire individuals of all ages through positive experiences and participation in engaging , motivating and achievable tasks. 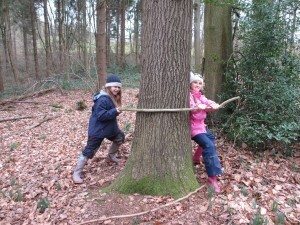 Taking part in activities in woodland helps children and young people to develop a connection and respect for the natural world, promoting both physical and mental health. We believe all children should be regularly interacting with nature and this ethos underpins all of Treecreepers’ provision. Programmes differ in execution with varying groups, leaders, location and learning objectives but will always involve regular visits to woodland where participants take part in activities and games, making use of the natural environment. Treecreepers’ approach focuses on the process of learning rather than the outcomes. Time allows for repetition, the development of confidence as well as the consolidation and transfer of skills. What did you learn about yourself at Treecreepers?